Typically, directors (if shareholders too) of a company will obtain the majority of their income via company dividends, which are declared and paid by a company out of its distributable reserves. 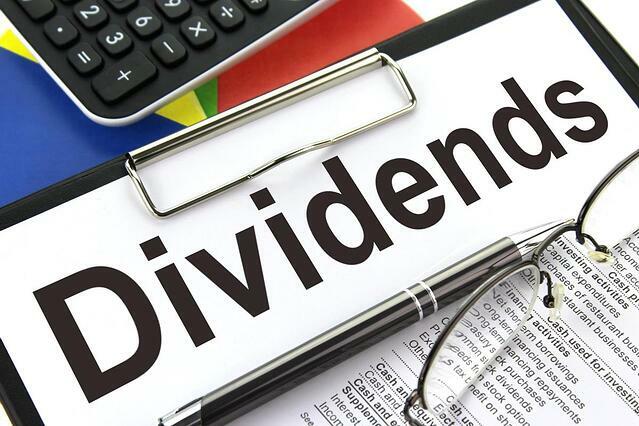 Taxed at three different rates, dividends can be distributed to any value, as long as these amounts are available from the company’s distributable reserves. Where there are no distributable reserves, and a dividend is still declared and paid, those dividends are illegal. If your business is facing insolvency, you’ll be relieved to know that the payment of illegal dividends is easily avoidable. The key to avoiding illegal dividends is to ensure that retained profit is calculated correctly. What is retained profit? It is the net profit which remains following the payment of all expenses and tax. Retained profits/losses are cumulative if there are retained profits/losses from prior years. You should be aware that, the amount of tax-free dividends has been reduced to £2,000 from £5,000, from 6th April 2017. Another way to avoid illegal dividends is to not declare and pay them until you know they are available. If you are not able to calculate your retained profit accurately, or do not have access to your accounts, the best way to find out your current financial position is to contact your accountant. Should retained profits not be available in your company and you declare dividends, HMRC may re-categorise your dividend as salary, which can lead to your business having to pay additional income tax and increased National Insurance contributions. Under the law, immediate repayment is mandatory if there were insufficient funds when dividends were distributed. To avoid illegal dividends and satisfy the requirements of HMRC, you must ensure that the correct authorisation was provided. Consideration by the company directors of available profit levels prior to authorisation being given must be confirmed. One of the best ways to show this confirmation is via the minutes of the board meeting held to sanction the payment of dividends. Dividends can also be deemed illegal if certain documents were not completed. For example, you must ensure that you have completed a dividend voucher. Another way to avoid illegal dividends is to ensure sound record-keeping, as this will prove that everything was in place prior to authorisation of the dividend. You must also be realistic. Even if your company is currently seeing profit and has a healthy cash flow, the situation may be different once future liabilities like Corporation Tax are taken into account. What Else Can Happen If Dividends Are Paid Illegally? When a company is insolvent and has paid illegal dividends, directors can be held accountable for their actions, even though it was the shareholders who received the dividend payments. Furthermore, continuing to trade whilst the directors know the company is insolvent is a serious offence. If you suspect that your company is insolvent and you are considering paying dividends, the best advice is to not make payment until you’ve contacted one of our licensed insolvency practitioners. This should be done as soon as possible. Waiting to contact a professional can lead to much stress, frustration and additional debt that you may not be able to carry. Calling BCR for insolvency advice will give you peace of mind and the confidence to take the next steps to saving your business from insolvency and the illegal payment of dividends.